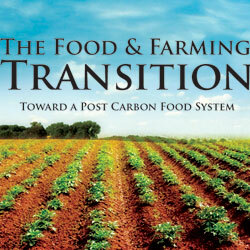 Michael Bomford, Ph.D., Fellow; Principal Investigator, Organic / Sustainable Vegetable Production, Kentucky State Univ. The only way to avert a food crisis resulting from oil and natural gas price hikes and supply disruptions while also reversing agriculture’s contribution to climate change is to proactively and methodically remove fossil fuels from the food system. The methods for doing so are outlined in more detail throughout the remainder of this document. Given the degree to which the modern food system has become dependent on fossil fuels, many proposals for de-linking food and fossil fuels are likely to appear radical. However, efforts toward this end must be judged not by the degree to which they preserve the status quo, but by their likely ability to solve the fundamental challenge that will face us: the need to feed a global population of seven billion with a diminishing supply of fuels available to fertilize, plow, and irrigate fields and to harvest and transport crops. Additionally, it should be noted that it is in farmers’ interest to reduce their dependence on fossil fuels, as this builds resilience against future resource scarcity and price volatility.